This sounds strange to most writers when I talk about it, but I have never actively pursued a traditional book deal. I mean that. Never in my life. Unlike writers like Joe who in the beginning sent manuscripts to hundreds of publishers, I’ve never sent one. Most of my career was spent on the road as a musician/singer/songwriter, and although I’d always longed to write fiction, I simply did not have the time. I’d always been an avid reader and was especially influenced by a young writer I’d gone to grammar school with by the name of Stephen King. That’s right, we both hail from the small town of Durham, Maine. He was a year ahead of me but we knew each other and played together as children. Later we attended different high schools and went our separate ways. When I read Carrie I was flabbergasted that it had come from the pen of an old schoolmate, and very proud of him. And of course I was more than a little bit envious. Then came Salem’s Lot, and well, you know the rest of the story. So, I continued to play my music and write songs and live life on the road. By the time I reached my late thirties and had not seen any major success with my music, my wife Sheila and I decided to return to Maine, settle down and become antique dealers. I still played music part time but now I tried to keep it local. She was right of course, and that was just the motivation I needed. In 2001 I sent my first novel, The Lost Village, (along with four-hundred dollars) to the Scott Meredith Literary Agency in New York. It was something they called their Discovery Program and promised that the work would get an objective opinion and a speedy response. A nice editor got back to me within a month and commended me on the ambitiousness of my novel, said I was a promising writer and that The Lost Village was actually a great book, but, no one would publish it because it was too long. 258,000 words. He told me there wasn't a publisher in the land that would touch a first time author with a book of that length. He qualified that and said that if I was a celebrity author like King or Patterson it would be fine, no problem, I could publish my laundry list and it would probably sell. But I wasn’t King or Patterson, I was an unknown. And publishers wanted nice tidy little eighty to one-hundred-thousand word books from unknown authors. Please send something else along that's at a more appropriate length, (along with another four-hundred bucks, of course). Well, that was that, thank you very much. I never sent another thing to that agency or any other agency, for that matter, nor was I interested in legacy publishers. Maybe I’ve got a thin skin, but I was not interested in what the establishment had to say about my books. I was keenly aware of the statistics, of how many manuscripts ever made it to an editor's desk. One writer friend of mine had been rejected so many times he was on the verge of suicide. So, I did the unthinkable. Way back in the dark ages before Kindle and Nook and all those other reading devices we now take for granted were invented, I decided to self-publish my magnum opus. This was before Amazon or any of the other booksellers were selling ebooks. If you wanted to self-publish a book you needed to go through one of those “vanity” presses that charged for services. So that’s what I did. I brought The Lost Village out in hardcover and trade paperback and sold downloadable copies from my website to those willing to read an enormous book on their computer screens. The book actually came out pretty well. It was formatted nicely, had a good cover. My wife, who had worked as a newspaper editor, did a fine job editing the book. I signed up with the New England Horror Writers, did some group signings, made some friends, and, to my amazement, the book began to sell. Not in great numbers, but sell it did. I will say that initially I was shunned by some of the other members of the NEHW who were almost all legacy published, but when the line in front of my table was consistently longer than the lines at theirs, some got curious and actually bought my book. Before long I was receiving some nice reviews from fellow authors as well as readers, and low and behold I found out that several ‘respectable’ authors with ‘real’ published books had recommended to the HWA ( Horror Writer’s Association) that The Lost Village be nominated for a Bram Stoker Award. This was very exciting news, but of course it wasn’t nominated. Back then, and even now, the HWA has a very hard time recognizing anything self-published. They love their legacy publishers, and if your work isn’t sanctioned by one of them, well . . . They claim they consider all published works, and I believe they do, but it’s been my experience that very few independent books ever get much consideration. No matter, I believe they are for the most part, a good and beneficial organization, and their current president, Rocky Wood, is a super nice guy. But I also believe in my heart (and this is just my opinion) that if they continue on their present course, they will one day become as irrelevant as bookstores and legacy publishers are becoming. The Lost Village sold reasonably well without the benefit of being sanctioned by a legacy publisher, or being recognized by the Horror Writer’s Association. In the meantime I wrote several other novels and was doing okay selling short stories to various magazines and anthologies. Then, a little more than three years ago, on invitation, I sent my novella, The Haunting of Sam Cabot to a brand new small press publisher, Damnation Books. Now this is the important part. It was the first time in my writing life that I had ever sent a manuscript to a book publisher and I sent it only because they queried me. At the time, Kindle was a brand new concept and I had never heard of it. Damn my error. Well, I heard right back from Damnation Books that they wanted to publish my book. Wow! First time. Couldn't believe it. They subsequently published two more of my books including a re-issue of The Lost Village. I signed five year contracts for each of those books. Stupid me. It was just about the time Kindle exploded on the scene and I was suddenly tied to a publisher who priced my books much too high to sell well on Kindle. And oh my lord, the formatting! 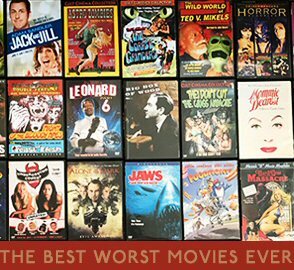 It was atrocious. Still is, and my publisher is so arrogant they refuse to fix the problems. If you check sample e-versions of both The Lost Village and The Holocaust Opera (the latter which has a wonderful introduction by Bram Stoker Award winning editor Vince Liaguno) you will see that the text of both books is entirely in italics. E-gads! It’s downright embarrassing. And, to my utter chagrin they priced the Kindle version of The Lost Village at $9.95. Celebrity authors can get away with selling e-books at that price, unfortunately nobody else can. Try telling that to my publisher. I know in my heart that if it had been priced at $2.99 or even $3.99, where it should be, it would have been a Kindle bestseller by now. I begged and pleaded with my publisher to just try it but they wouldn't budge. Too bad for them because they have lost me as an author. I am presently in the process of fighting to obtain the rights back to The Haunting of Sam Cabot. The other two will be next. It's going to take some legal wrangling, but it will happen. Not that they should care, They have what seems to be a massive stable of authors now, most of whom seem quite satisfied to live with poor formatting and earn 17.5% of the list price instead of the 70% they could earn as independents. Go figure. I guess for some the prestige of having a REAL publisher outweighs everything else including earnings. 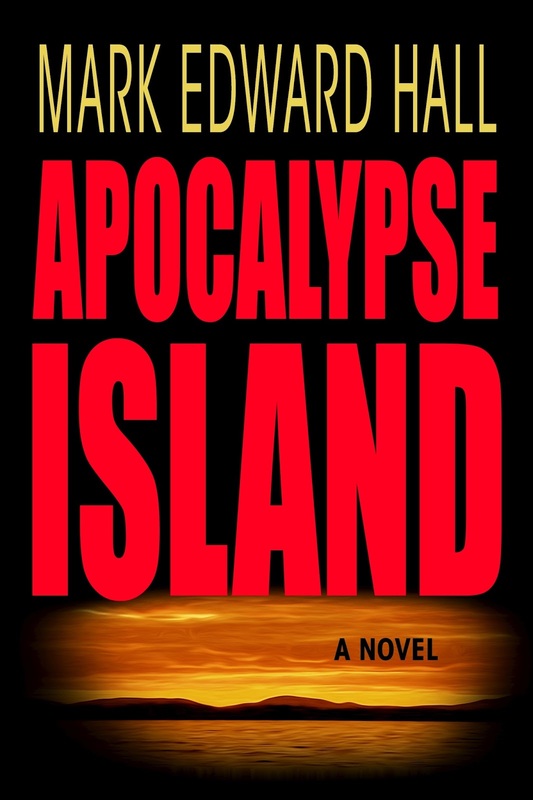 Last year at this time I self published Apocalypse Island, not a horror novel like most of my others, but a crime thriller with some supernatural and science fiction overtones. Some writer friends were kind enough to read and review, and in the first year I garnered a whopping 28 reader reviews and sold a respectable amount of copies. Then, through Joe’s blog, I heard about an email blast service called Bookbub and decided to give it a try. 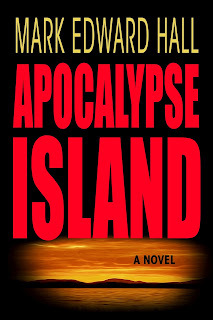 Apocalypse Island went free on April 8th of this year and by that first evening it held the number one free spot on Amazon. When the promo ended five days later I’d given away nearly 100,000 copies. The next day it catapulted into Amazon’s top twenty paid and stayed there for more than a week. The book continued to sell well for nearly two months making me more money than I’ve ever made with my writing, more money than I make in a year playing music, and garnering nearly 150 reader reviews, the vast majority of which are positive. I’m stunned and very grateful to all those who downloaded and reviewed my book so positively. I have a new novel, Lion of God, in the editing stages which will be released before the end of the summer. It is a sequel to Apocalypse Island. I am planning on releasing it as a free ebook for the first five days, and if Joe doesn’t mind I’ll announce it in the comments section of one of his blogs. As you’ve probably surmised by now, I’ve been around awhile. Nevertheless, I’m fit and healthy and determined to write many more books before I throw in the towel. posting only if I have something relevant to add. Joe, you’re a prince. Thank you for your inspiration and generosity. Joe sez: More and more legacy publishers are going to be plumbing indie authors for their rights. They'll have no choice, because more and more legacy authors are going to leave because they're fed up with being unfairly treated. Now's a good time to go over some rules when approached by a publisher. 1. Don't ever pay any editor, publisher, or agent, for anything. Ever. 2. If you sign a deal, don't ever expect to get your rights back. 3. If you have any leverage, don't sign over your ebook rights, unless you're getting a huge amount of money. 4. If you get an offer, have an agent or entertainment lawyer look it over and explain it to you before you sign. 5. Some clauses to be careful of are non-compete, which says you can't publish anything else while under contract, and next work option, which says the publisher gets first chance at the next thing you right. Both of these are unfair. 6. Don't ever take an ebook only deal. A publisher's only advantage over an indie is their ability to get paper books onto store shelves. An indie can reach the same amount of readers with an ebook than a publisher can.